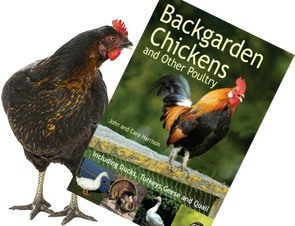 In this article I explain how and why you should feed your back garden chickens with more greens. Often green foods; cabbage leaves, bolted lettuce, etc. 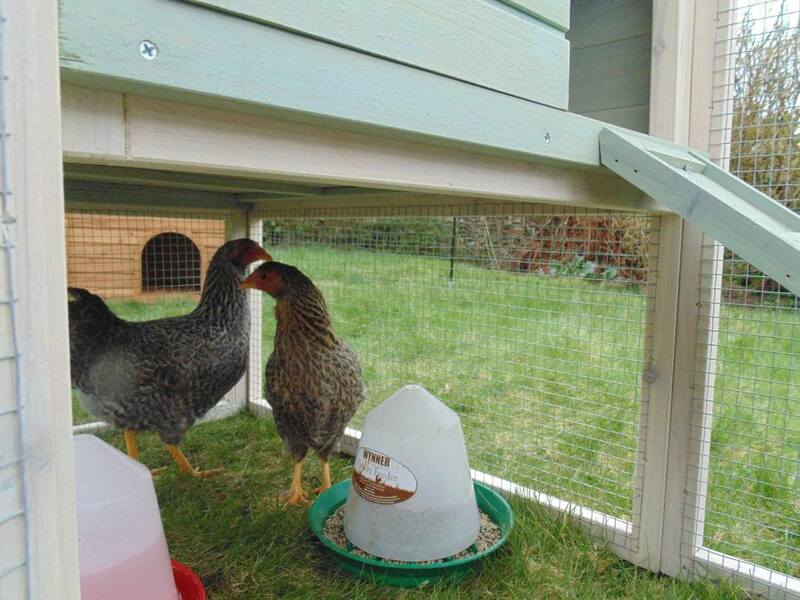 are fed as a sort of treat and a diversion to keep the birds occupied in a run and not pecking at each other. Providing a selection of fresh green foods will keep your hens in better condition. It will also improve the quality and vitamin content of the eggs. Those back garden keepers who also grow their own should have no problem in providing a dietary supplement in the form of a green salad each day. Continue to hang leaves in the run as well though to keep them from boredom. Don’t just throw in handfuls of leaves though, being loose the bird is likely to take too large a piece in and you risk crop problems. The leaves should be shredded and chopped. You will probably find this quickest to do by tearing them up with your hands. Any leftovers should be removed from the run at the end of the day and composted. Your Weeds are their Treats! Don’t forget when weeding that some weeds are going to be a great treat for your birds. Chickweed, Dandelions and Fat Hen being obvious candidates. Just tear them up with your hands first. Even if you’re really stuck for space you can provide quite a lot of fresh green food in a small space using seed trays or flats as they are called in the USA. If you can put up a mini-greenhouse with tiered shelving you quadruple the production from the land used by stacking one over the other. Vertical growing. Some seeds, lettuce and brassicas for example, are incredibly cheap. Some packets contain over a thousand seeds – far more than you will ever need for your own consumption. Fill your trays with a soil and compost mix then thickly sow the seeds covering with a small amount of sieved compost or soil. You’re aiming for a dense coverage, perhaps a seed each centimetre or half-centimetre each way. Water well and just leave to grow. Once the shoots are about 5 cm high, place the tray in the run and leave them to enjoy. Once a tray is eaten, replace with another. Sometimes they will be gone in a day other times 3. By sowing up trays every couple of weeks you’ll have a continuous supply for your flock. Using a greenhouse or a mini-greenhouse means you can extend the season – starting early and finishing late in the year. We like to grow our own salad crops in containers near the house. It’s very convenient especially for cut and come again lettuce. By the third cut the lettuce is pretty exhausted and tired looking. Give it a little while to recover somewhat and then pop the container in the run. Check the nutritional requirements for chickens and herbs for hens pages for ideas on what you can feed.